(Duct Tape Marketing) As you start preparing for next year, you may wish you had a crystal ball to see what’s in store for your business. Lucky for you, for the past three years at Open Forum, I’ve been suggesting imminent trends that will most impact small businesses in the coming year. Well, it’s that time of year again; and hopefully this list will help you position your business for growth. The most significant change I’ve witnessed over the last few months is that both consumers and small-business owners have accepted that some things have changed forever. There’s also a sense that, regardless of technological advancements, businesses need to return to being more about people. 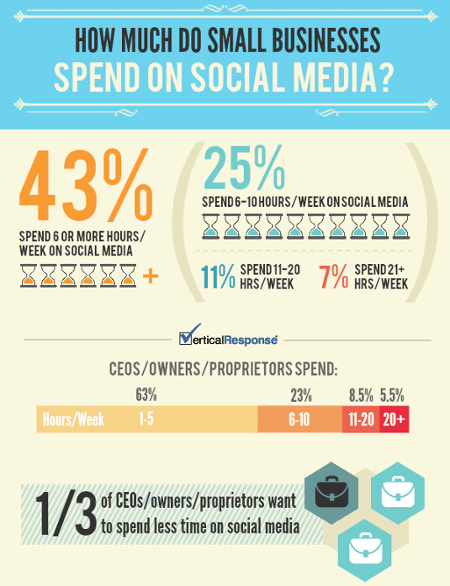 (Social Media Today) Vertical Response created an absolutely killer infographic, which examines time spent on social media by small businesses. Then, their CEO Janine Popick followed with a wonderful article published on Inc. com, "Where CEOs Spend Their Time (& Money) on Social Media," which made the rounds big time. So I come not to criticize. Not to plagiarize. And really, not even to prophesies. I'm not a social media expert (is anyone? ), so much as an advocate, user, observer, reviewer, hole-pointer-outer, and occasionally, consultant. However, the spirit of social media is to exchange ideas, connect, and of course, converse. I want in. 3. Google Penguin: What Lurks Beneath the Surface? (SearchEngineWatch) Much has already been written about the Google Penguin updates, and the impact these have had on websites and businesses. Other than clean up the quality of Google's index what else could the objective of Penguin be? Much like the icebergs that so often surround penguins, the Penguin updates have much, much more going on below the surface. In order to fully understand how an update works, we also need to understand the purpose behind it. To get below the surface, we need to gather some background. (SocialFresh) When it comes to converting more customers… The “secret” to more sales is as simple as understanding just what your buyer wants (and expects) from your business. We are all different, but in many instances our brains are prone to react in a similar manner. Understanding these subtleties in the human mind can help your business find creative ways to ethically move more buyers towards saying “Yes!” to your products or services. 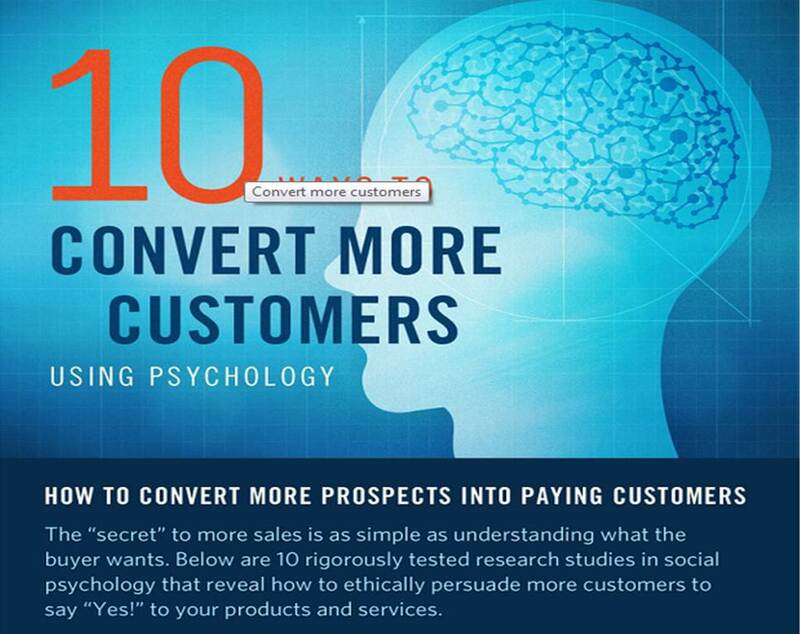 Below are 10 studies that reveal such insights into the minds of your customers. 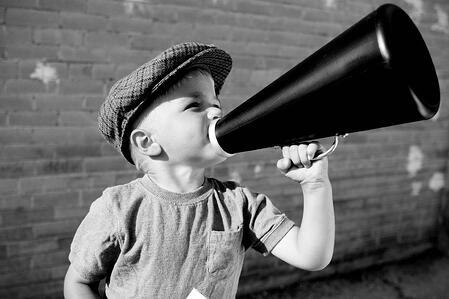 (SEOMoz) Remember that the picture of marketing on the web is not just search and it's not just social and it's not just content. It's all of these things, and a lot of these can input and provide great, great return on investment if you're willing to invest in them.